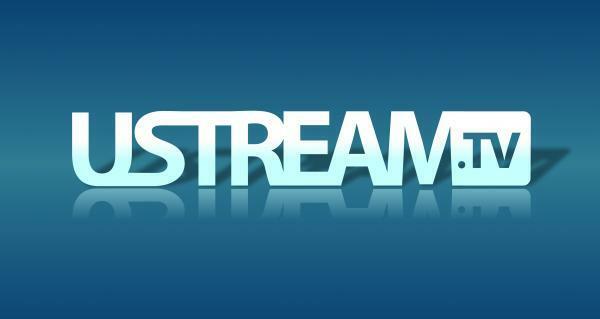 Ustream is the world’s most scalable and social live video platform. Originally created to connect remote military servicemen to significant personal and cultural events, the company has evolved into a socially-fueled vehicle enabling anyone to reach global audiences and share experiences in real-time. Whether it’s a press conference, product launch, educational class, or an act of citizen journalism – Ustream’s Cloud Platform offers users high-quality streaming capabilities, deep social networking integration, and the scalability to reach millions of viewers concurrently. Our mission is to empower businesses and societies to be more transparent, more productive, and build deeper relationships through the power of video. Today, this tutorial will show you how to go live on Ustream TV with different voices to maximize your fun using AV Voice Changer Software Diamond 8.0 while watching any live TV program. On VCSD8 main panel, click Preferences to open VCS Settings dialog box. In Preferences tab, switch from Hook mode to Virtual Audio Driver mode. - Click OK (2) to apply the new setting and close VCS Settings dialog box. Open VCSD8, choose morphing effects and make adjustments for your voice until you achieve desired voice output. 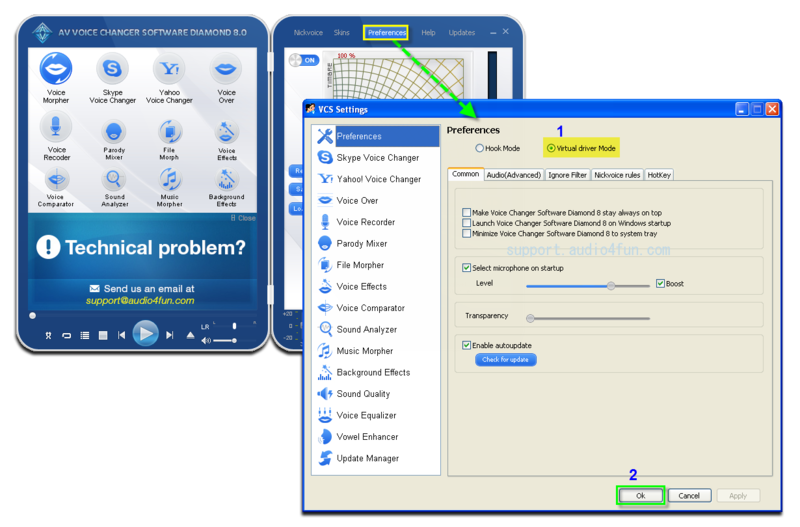 Click here to learn how to change voice using Voice Morpher feature and other voice changing task that Voice Changer Software Diamond 8.0 can do. 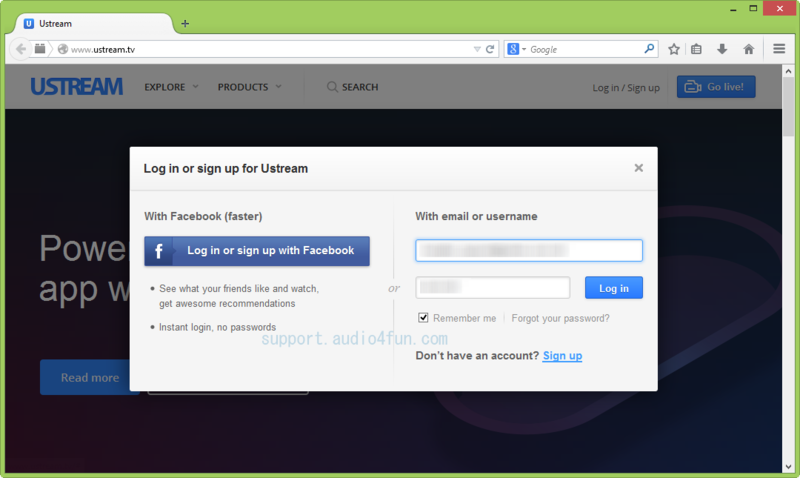 - Go to http://www.ustream.tv/ » Log into your account. - Click on Go Live button. - Create a channel if you are new; or enter your available channel. - If Adobe Flash Player Settings dialog box appears, click Allow to grant the service access to your camera and microphone » Close. 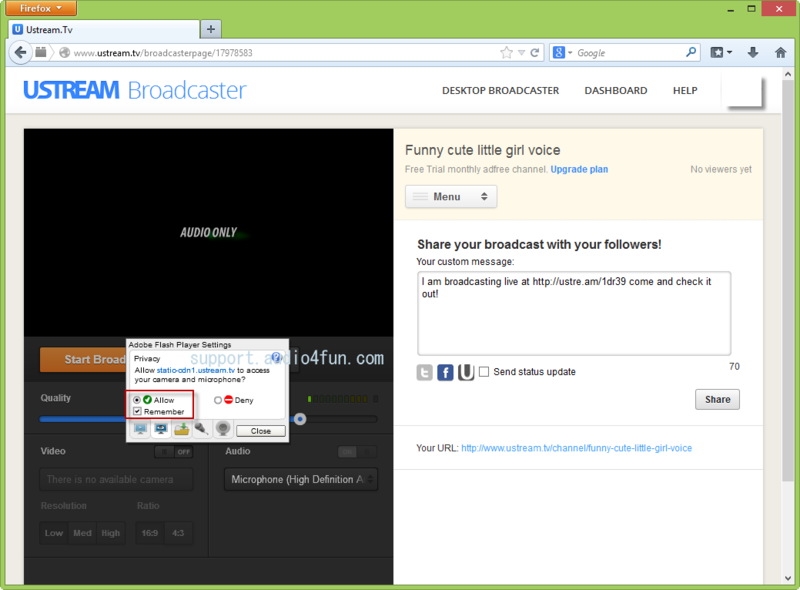 - Back to Ustream Broadcaster, in Audio section, select Microphone (Avnex Virtual Audio Device) as the recording device. From now on, Voice Changer Software Diamond 8.0 will be the main audio source used by Ustream TV. 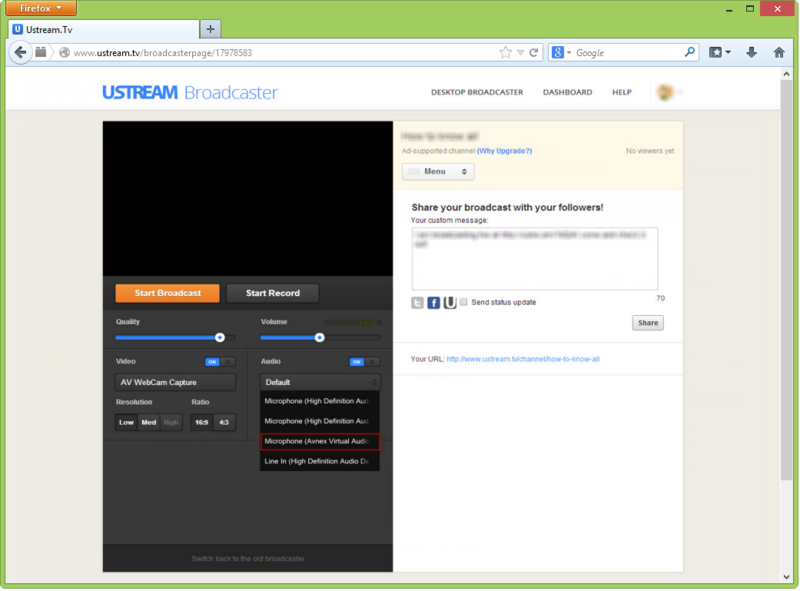 You now can change to any voice you want while broadcasting on Ustream TV. The morphing settings for your voice will be applied automatically. Please notice that as long as the Voice Changer Software Diamond 8.0 is On, the morphing effects will be applied to your voice automatically. To change it back to your normal voice, just turn off the voice changer software.